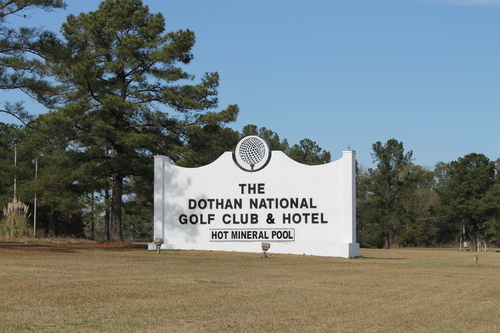 The 18-hole golf course was built in 1968 to complement the Hot Mineral Pool. The course is a championship caliber layout of over 7500 yards. It was host to the SEC Championship numerous times. 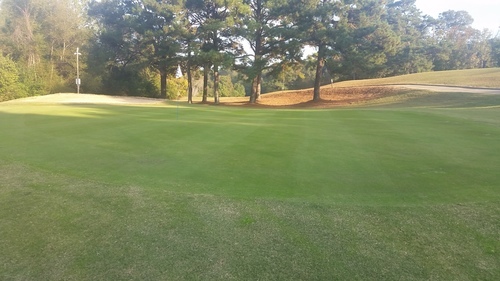 It has a course rating of 75.8 and a slope of 129. The architect, Robert Simmons, has built some of the most beautiful courses in the country. He is known for allowing the golf course to take the shape of the land. 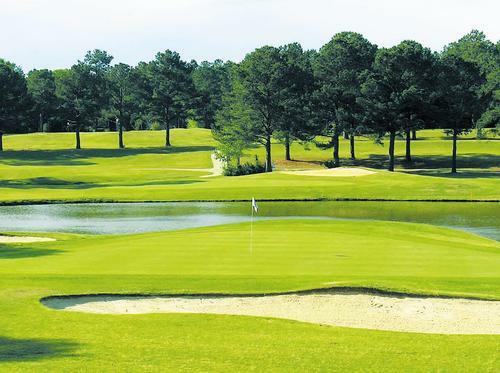 Each hole at Dothan National is elegantly placed into the flowing hills of lower Alabama. The Hotel was built shortly after the Hot Mineral Pool to accommodate guests who wanted to experience the therapeutic properties of the pool. Rooms and suites are available. Each room has been updated in December 2012 with new linens, mattresses, comforters, pillows, new wall and ceiling treatments. The hotel is a golfers’ paradise where you can roll out of bed right onto the first tee or driving range. Stay and play packages are available from $60 (plus tax) per night, and include a room for the night and a round of golf. The site boasts a naturally flowing hot mineral spring. The temperature of the water right out of the well is 85 degrees. We increase the heat to 102 degrees and pump the well into a one of kind indoor spa. 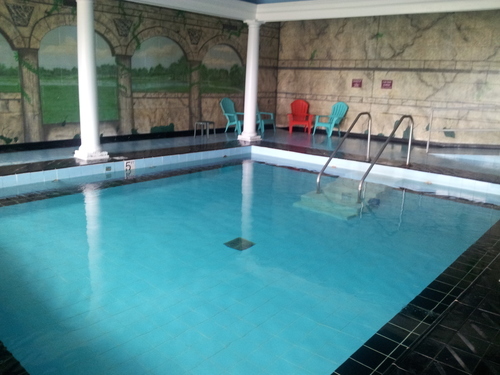 The hot mineral water has been a source of relaxation and rejuvenation to our guests for decades.